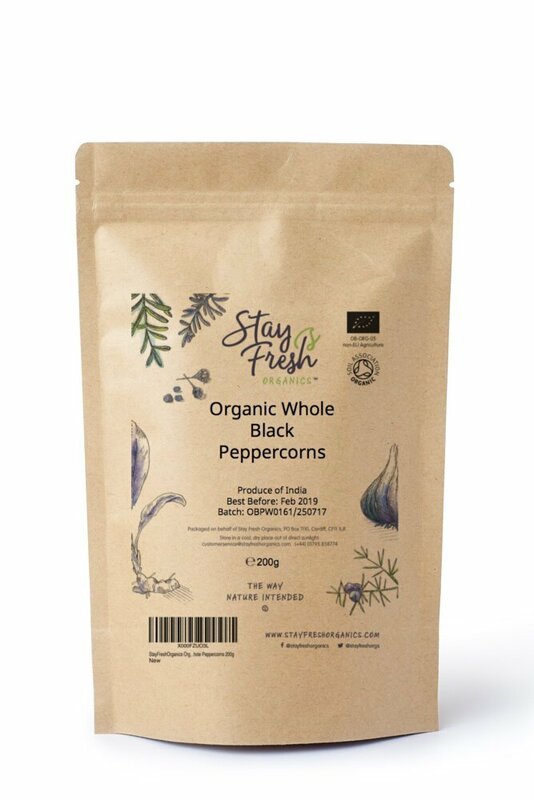 Black pepper is often considered the "king of spices"
Stay Fresh Organics' organic ground black peppercorns are full-bodied with a strong aroma. They're fantastic for seasoning an array of global dishes and can be used in an infinite number of ways. They can also be used for their medicinal qualities and added to turmeric powder to make golden paste. Buy organic turmeric powder here. 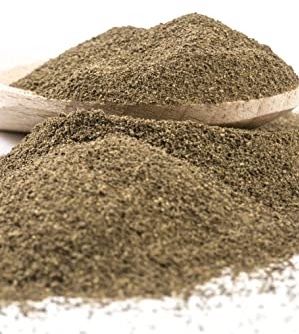 Black pepper is native to South Asia and Southeast Asia and has been known in Indian cooking since at least 2000 BCE. Peppercorns were a much-prized trade good, often referred to as "black gold", and used as a form of commodity money. Energy 255Kcal, carbohydrates 64.81g, protein 10.95g, fat 3.26g, cholesterol 0mg, fibre 26.5g.